The reality in Muslim majority countries around the world today is that Islam has become an integral part of public discourse. Religion affects the way Muslim people think about law, governance, democracy and rights. It would be foolish therefore to avoid taking this into consideration when discussing such issues. The main question is whether Islam demands a set of values that are incompatible with concepts that are necessary for a society to live within a secular, liberal democracy with the assumptions that such a system brings; primarily human rights and the rule of law. There are those who think that this is the case. Both detractors of Islam as well as orthodox supporters of the religion argue that you cannot be “Islamic” and at the same time embrace such concepts. The former are intent on demonising Islam and Muslims and the latter are set on ensuring that religion be a tool with which to maintain power by ensuring an unquestioning populace who are held in thrall to a cleric class. Nader Hashemi challenges such thinking. 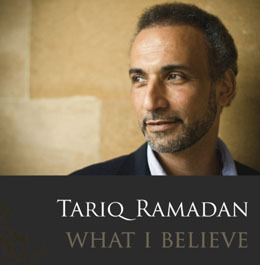 His book is important for it argues that Islamic religiosity is not an anathema to secularism and liberal democracy. For those of us who believe in these principles, this book is a valuable tool in convincing the growing number of conservative Muslims that such principles are not “un-Islamic”. In light of how many Muslim countries face deep problems, which are partly the result of growing autocratic behaviour amongst their civil and religious leaders; this book is vital. Dr Azmi Sharom is an Associate Professor of Law at the Faculty of Law, University of Malaya.